Any perfectly balanced kitchen has a variety of cookware and serveware, like cooker, kadai, tawa, handi, pot, etc. The handi pot is used for cooking as well as serving purpose. 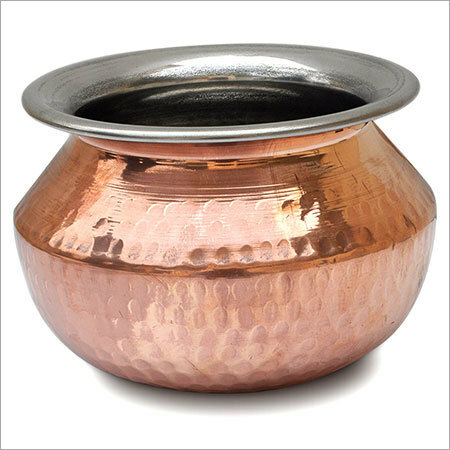 This copper steel handi pot has a hammered copper exterior that gives it a stunning look and a plain lining of steel inside to retain the taste of food. The copper outer lining allows fast cooking as copper is a good conductor of heat and spread the heat evenly over the handi pot. This copper steel handi pot is hygienic, resistant to corrosion and durable.